Cold weather makes me want pasta. And ramen. And udon. And basically any other form of noodles I can get my hands on. Here's a run down of some great noodle dishes we've had in Philadelphia lately to keep you warm and carb-loaded for winter. 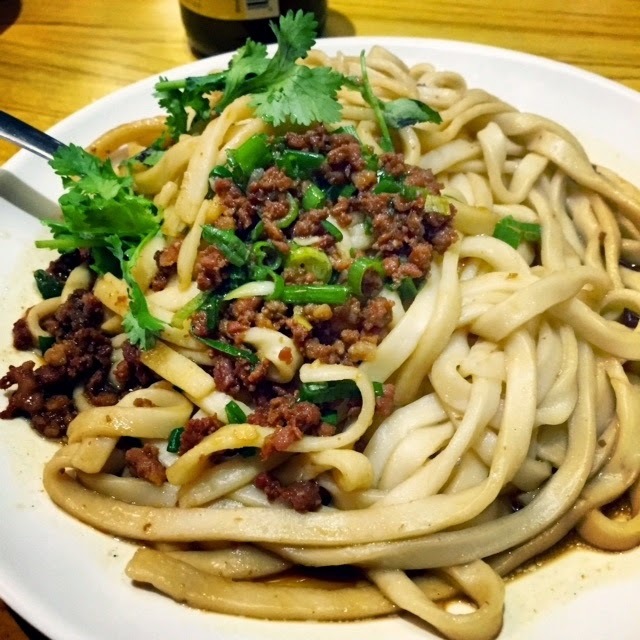 Check out last year's Oodles of Noodles post for more delicious feasts. Dim Sum Garden in Chinatown has always been a favorite of ours, but it's hard to look past all the dumplings and find room in your stomach for anything else from the six page menu. On a whim we ordered the Pork with Sauce Noodle, learning later from Facebook and Twitter comments that it's apparently a favorite of many regulars. No wonder there's a picture of it on the menu. Handmade noodles, beef, scallions and not much else, it's a $6 dream. Swing into Dim Sum Garden for this, plus an order of soup dumplings, and you're golden. 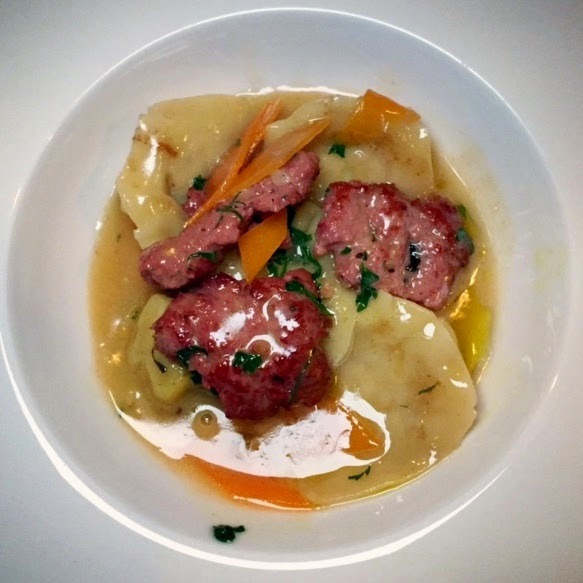 One of the most delicious pastas we tasted this fall was the capelletti with sausage in a butternut and lemon sauce at new restaurant, Aldine from George and Jennifer Sabatino of Stateside fame. When Jennifer came over to our bar seats to ask how it was, I think I summed up my feelings well with, "you should really serve this in buckets" because that's how much of it I would eat. The tender housemade cheese-stuffed pockets and light but extremely flavorful sauce was really something special - almost didn't even need the sausage. It was a small portion at $16 though, so prepare for a more expensive night out in order to get your fill of food and drink. But don't skip this dish when your order. If your idea of the perfect noodles calls for red sauce, check out Brigantessa's cappellaci dei briganti. The pasta looks like little pointy hats worn by "brigands," or gangs that ambushed and robbed travelers in the forests and mountains of Europe long long ago. 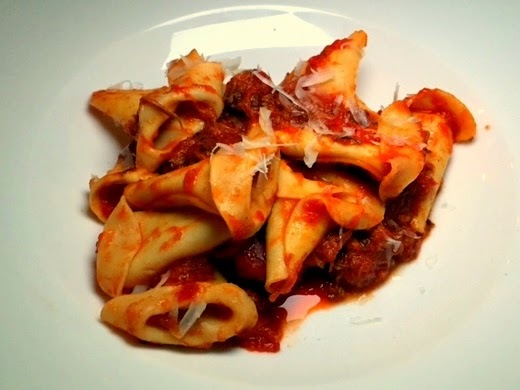 So that's cool but even better is Chef Joe Cicala's butcher’s ragu (a mix of meats) in red sauce, served with shaved pecorino canestrato. The little pointy hats were served perfectly al dente, as one would expect from the Le Virtu native. Only wish is that the portions were larger, but there's enough other great stuff at Brigantessa to fill you up (like pizza). As an Italian BYOB option, Roberto Cafe at 21st and South is the neighborhood standby for simple pastas and traditional entrees. Bradd is always a fan of their spicy penne amatriciana. 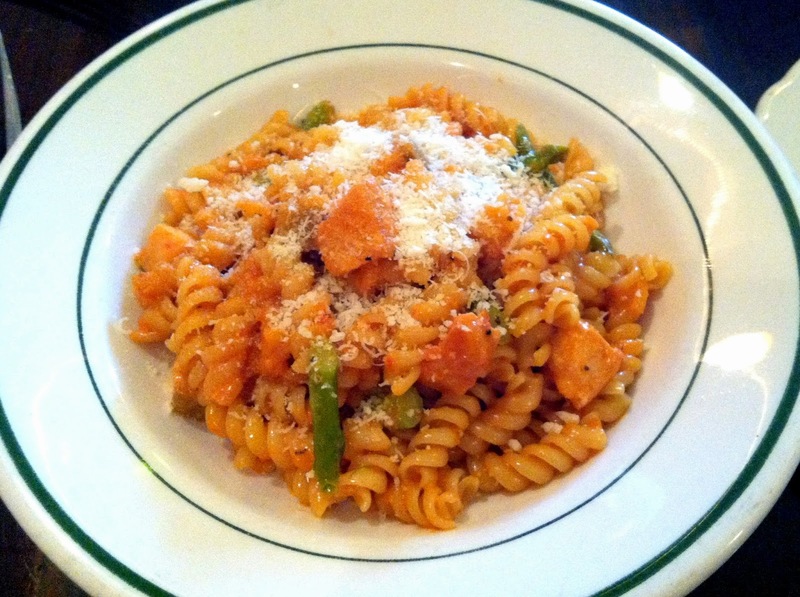 Since our last visit, I can't stop thinking about the fusilli salmone, a corkscrew pasta with pieces of tender salmon, fresh asparagus and brandy pink sauce. As a lighter pasta option, it will leave you satisfied but not stuffed. If you're looking at the menu online, know that some dishes (like the fusilli) are only listed on the lunch menu but anything can be ordered at dinner for a few extra dollars. 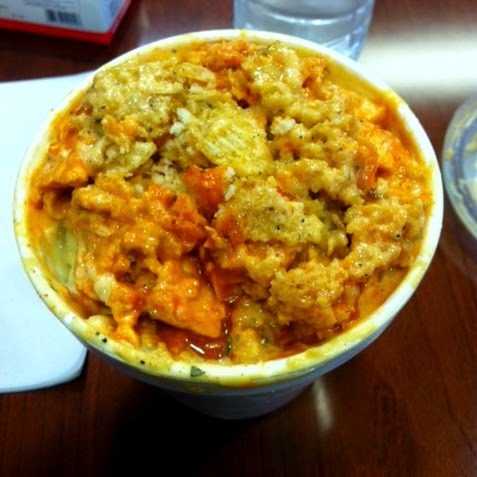 Last but not least, one of my favorite food truck indulges is MacMart's BBQ-in-a-Bowl mac n' cheese. It's made with MacMart's delicious-on-its-own original mac plus barbecue chicken chunks and smokey barbecue drizzle topped cornbread crumble and potato chip crisps. Admittedly, this is really a gut bomb. God bless anyone who can finish the whole thing; pace yourself and enjoy every bite. Also, be sure to mix in the toppings so you still get the barbecue flavor as you get further down the cup.